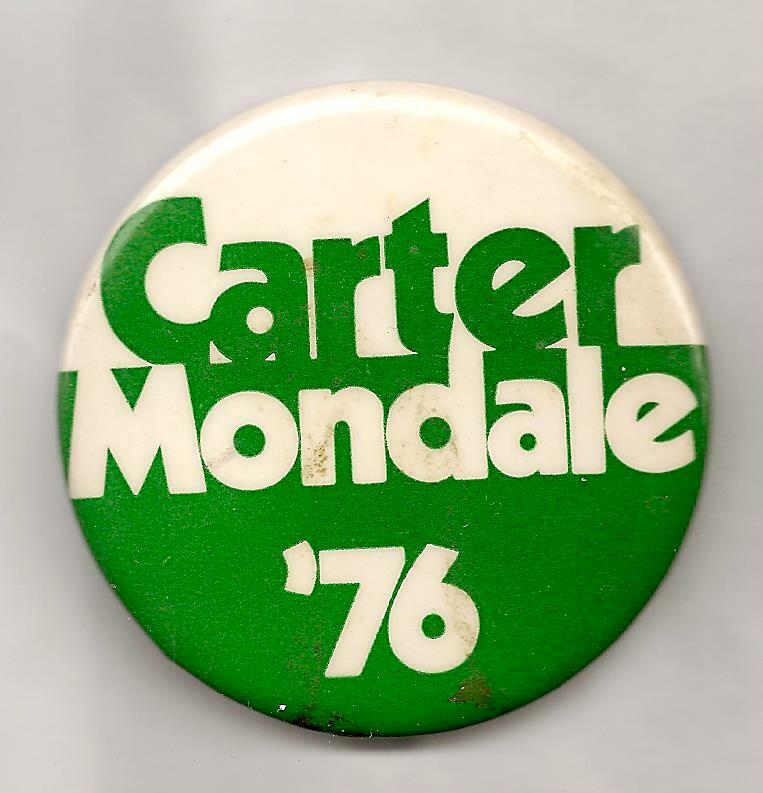 Buttons like the one above would have been prohibited from polling places under the Minnesota law. Source: Ken Rudin’s Political Junkie. Tea Partiers in the Land of 10,000 Lakes, as well as those hipsters who like to wear vintage political t-shirts (think “Nixon’s the One!” or “LBJ All the Way!”) on election day scored a big victory at the Supreme Court last week. In a 7-2 decision, the Court held that a Minnesota law prohibiting individuals from wearing or displaying certain types of political attire was unconstitutional under the First Amendment. The Minnesota law in question also prohibited displays of campaign materials within 100 feet of a polling place and the distribution of political materials to be worn at a polling place. The law was challenged by a Tea Party group, and was upheld by lower courts.